The extensive set with an amazing sound! 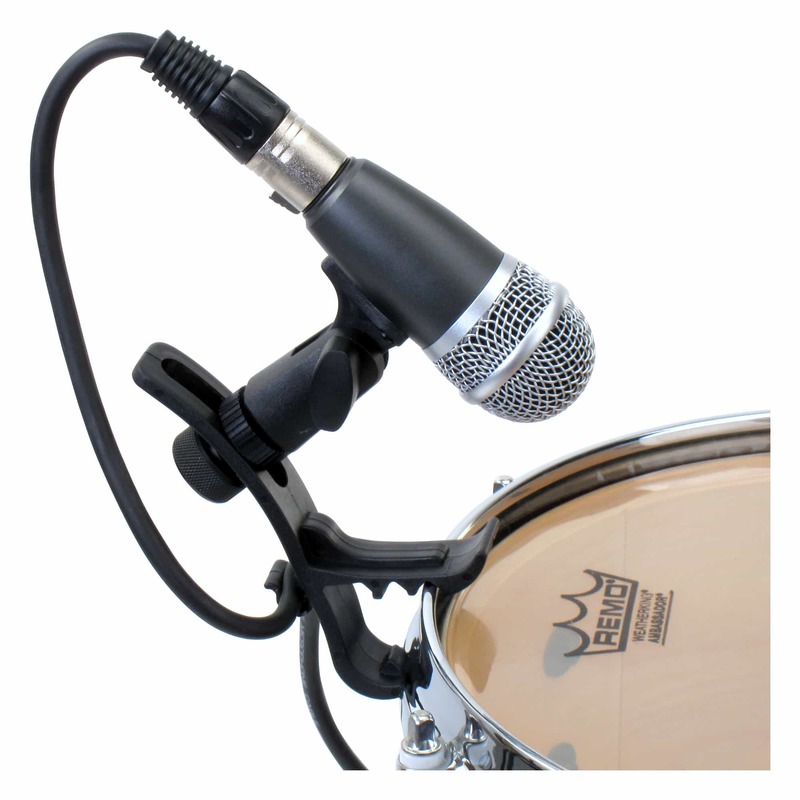 The DMS-7 Drum microphone set is absolutely sharp in terms of price-performance ratio! 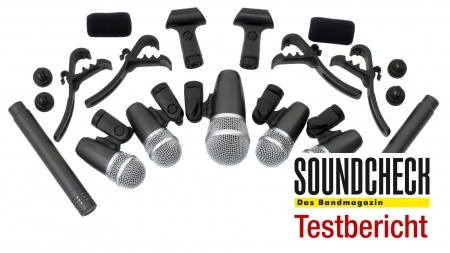 The sound of these microphones will surely exceed your expectations. The DMS-7 provides a powerful sound with excellent dynamics and a brilliant attack. The set is the ideal choice for your drum set, both live and in the studio. 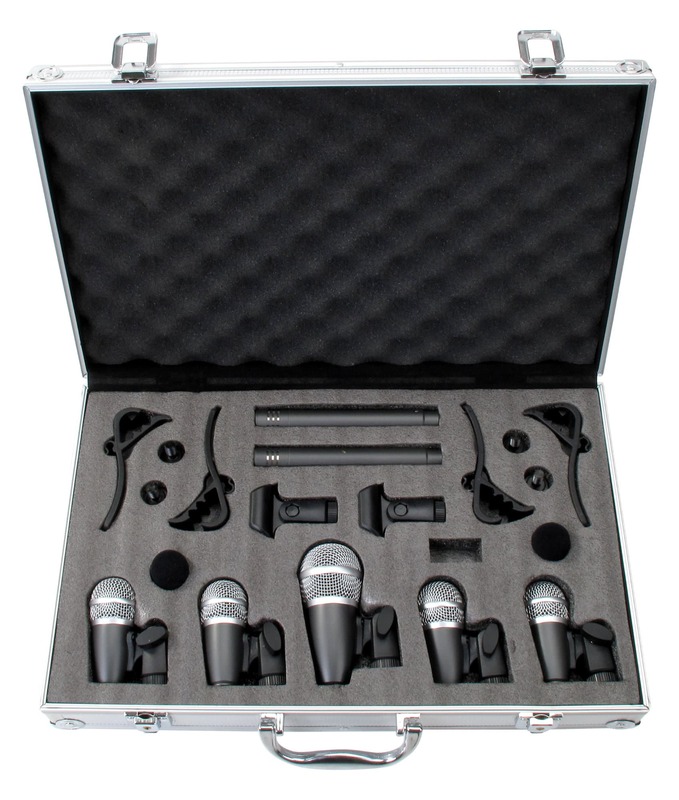 The package includes 1 bass drum microphone with holder, 4 tom microphones with holder and clamps, and 2 electret overhead microphones with holder. An optimal capturing of your drum set is guaranteed. 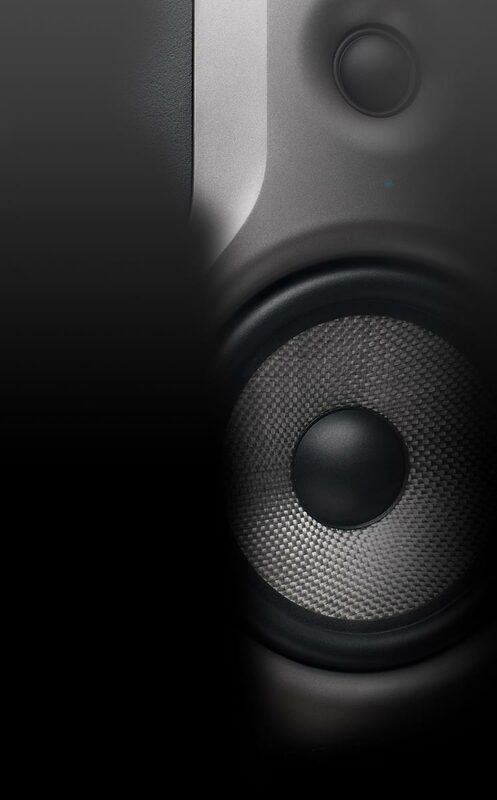 The Basedrum-Micro convinces thanks to it's deep bass with the ultimate punch. The two overhead mics have a very fine resolution, excellent focus and depth. 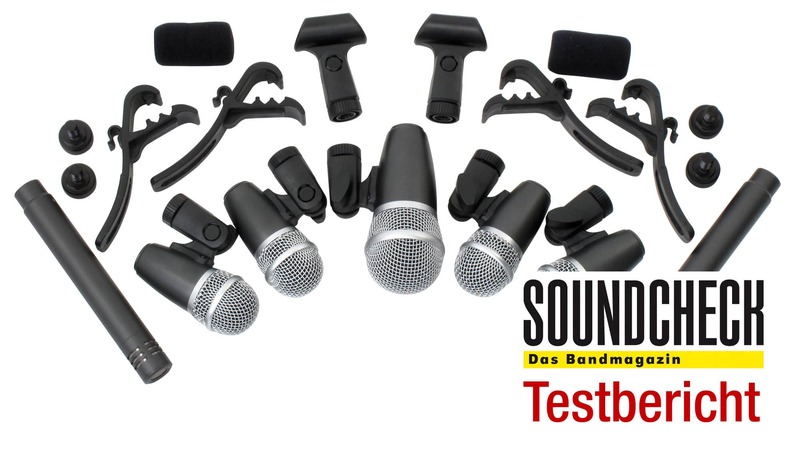 The particularly compact design guarantees an ideal placement of the microphones on the drums. 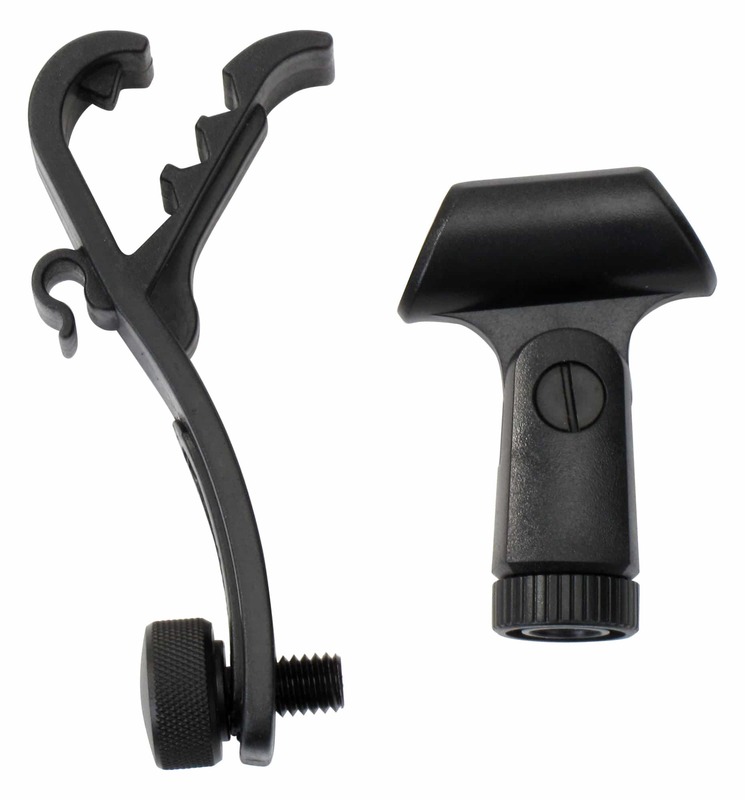 The 4 tom microphones have an easily and accurately adjustable universal clamp with cable clip for optimal fit on the shell. The durable cast aluminum housing guarantees high reliability for tough stage use. 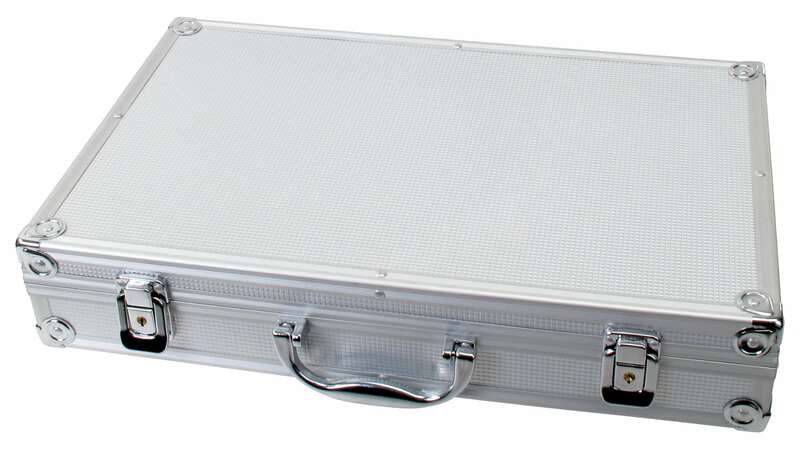 The complete microphone is supplied in a sturdy aluminum case. 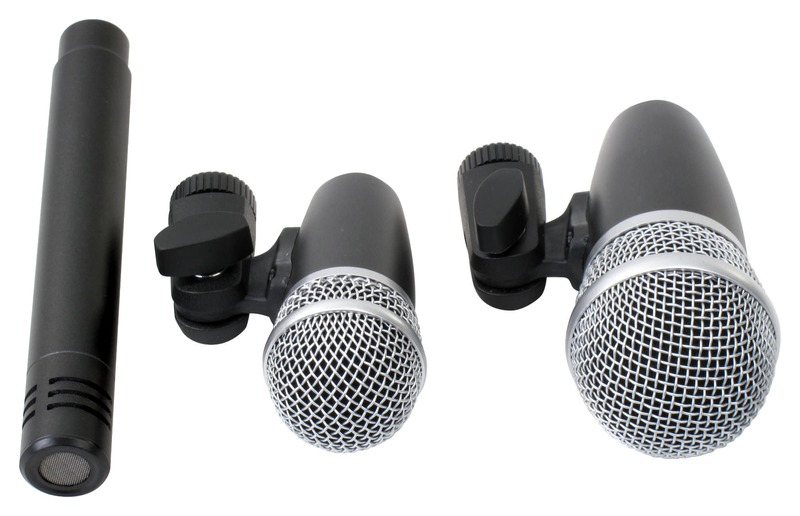 So the microphones can be virtually transported and well protected from dust, dirt and damage.